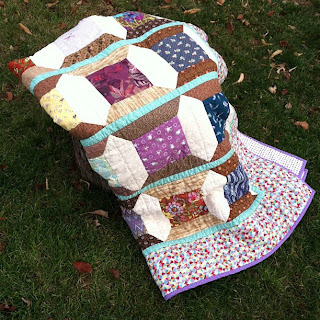 Slate Falls Press: Phoebe's Spool Quilt, finis! The sashing, borders, and binding colors our daughter chose from my stash turned out well. I adore the nooks and crannies of a cotton-batting hand-quilted quilt after is has been machine washed and dried. The texture is sublime. 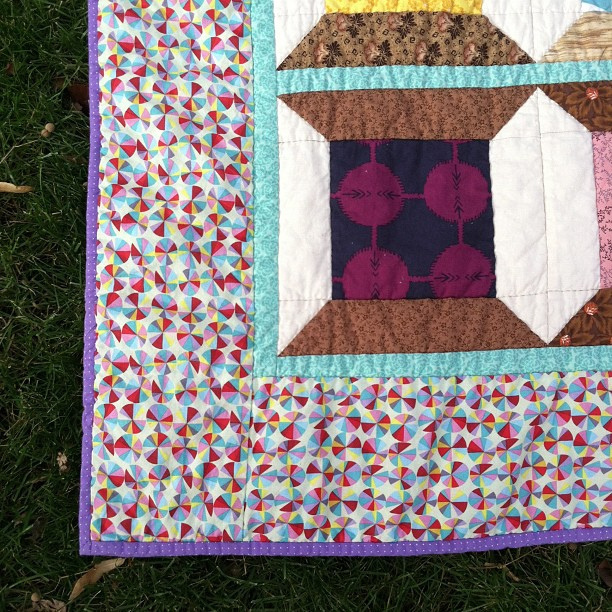 It is worth it to cut the binding on the bias- it behaves so nicely afterwards! So lovely! 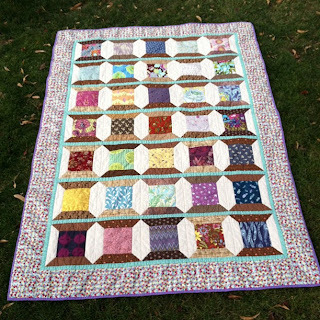 What a lucky girl :) So impressed by your mad quilting skills! 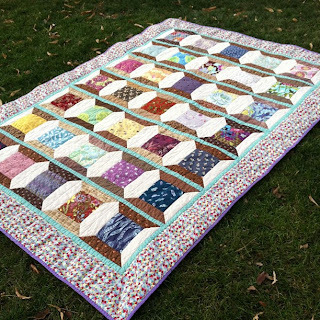 I can spend a month just thinking about starting a project, and look at what you've accomplished! 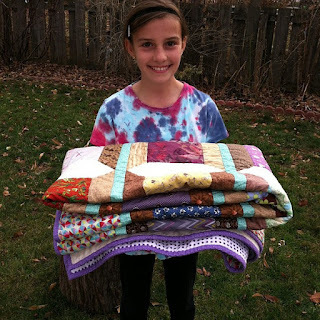 It was a great project, but I think I will stick to knitting for the next few weeks! Oh my goodness! It's absolutely beautiful! You did a fantastic job. 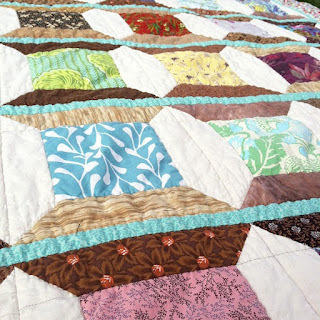 I love the colors and how everything was made from scraps, this quilt is beautiful and full of memories! Way to go! My favorite part of it is the memories, too!